[PDF] Nuclear Engineering Handbook (Mechanical and Aerospace Engineering Series) | Free eBooks Download - EBOOKEE! Posted on 2017-10-10, by luongquocchinh. 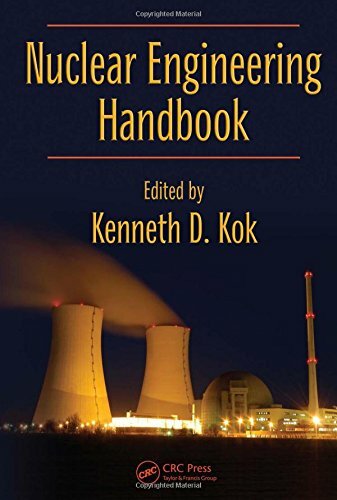 Description: Offering a broad overview of the field, the Nuclear Engineering Handbook provides an introduction to basic nuclear power and nuclear engineering development. After a historical review of nuclear reactors, the book examines current changes in technology and explores future directions. All aspects of the nuclear fuel cycle are described, from uranium and thorium fuel resources proceeding through mining, milling, enrichment, fuel fabrication, nuclear materials transportation, fuel reprocessing, and waste disposal. The text also presents analytical techniques related to nuclear engineering, addressing safety, heat transfer, shielding, thermo hydraulics, health physics, and other issues. No comments for "[PDF] Nuclear Engineering Handbook (Mechanical and Aerospace Engineering Series)".